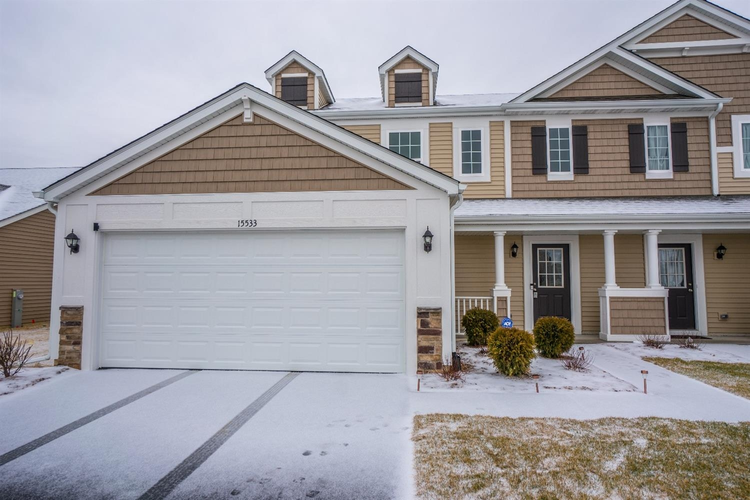 Located seconds away from Illinois state line, this like new 2 story town home was built in 2018, offers 2 bedrooms w/ a loft, 2.5 baths and 1,570 sq ft. of move in ready living space. The main living area features an open concept floor plan with tons of natural light and modern/rustic finishes. The eat-in kitchen offers white cabinets, island and grey countertops. Appliances are negotiable depending on offer. Directly off the kitchen you have access to a large patio which is perfect for indoor/outdoor entertaining. The main level finishes out with a powder room and the finished laundry w/ cabinets. The upstairs features 2 bedrooms and a loft. The Master Suite features a walk-in closet and a large master bathroom w/walk-in shower. The loft could easily be turned into a 3rd bedroom as it already has a walk-in closet.